Andrew Zimmern is a chef, a food traveler and frankly a bit of a nut case. He hosts a program called Bizarre foods. 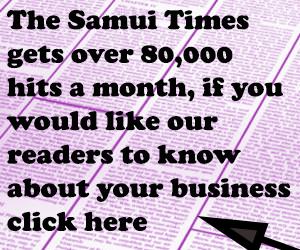 In January he visited Isan to find out about local Thai foods. The documentary starts with Andrew describing Thailand s being home to the bustling frenzied insanity of Bangkok, breathtaking mountings to the north and soulful, tranquil, ocean visas to the south. 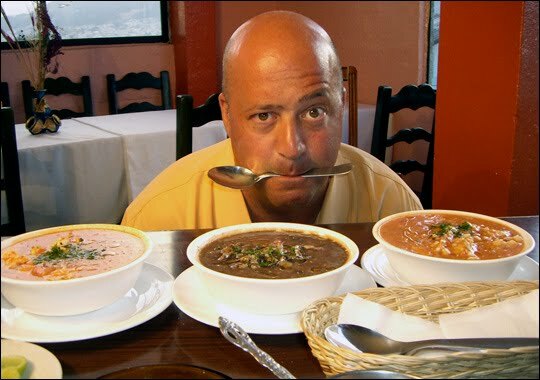 Andrew Zimmern has been a regular visitor to all of these regions. However there is one part of he has never seen before, the far corners of Isan, this area is remote, it has no tourists and the food here is more spicy, more sour, more bitter and sometimes more scary than any food he has ever tasted before. Andrew’s culinary adventure starts in a jungle market. The market is not in a jungle but is a road side market about an hour outside Udon Thani, the region’s biggest town. This is the world’s 2nd oldest commercial venture where people gather up what they can catch, or make or grow and then sell it. The first thing that Andrew comes across, that he has never seen before, are bags that hold about a kilo of cow placenta. In some places in the world people use the afterbirth of a cow to odd vitamins and flavor to their soups. This he finds quite disturbing and decides that he does not want to taste this weird and wonderful foodstuff raw! He then goes on to marvel at how traditional foods are presented in up to date packaging, adding a touch of big city glamour to traditional foods. In one packet the vendor has left the tail on two different creatures so the buyer can tell what species he is buying, one pack contains one rat and one squirrel. Andrew then comes across an animal that he does not recognize and decides that is the one that he wants to try and goes off in search of somebody that can cook it up for him. 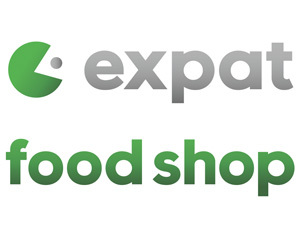 The market is something of a fast food emporium where vendors will happily cook up whatever you bring to them. With still no idea what it is he has brought Andrew then watches in wonder as the dish is traditionally prepared. As the unidentified creature hits the BBQ he explains that if you are going to roast an animal whole, without removing the guts first you need to make sure there is a lot of salt. He was really excited about eating the creature until, while on the BBQ, its guts split open and the smell of its entrails flooded the market place. As he prepares to put the thing in his mouth he tell us that this is a little bit like jumping off a mountain and you just have to close your eyes and say ‘ready, set, go! After being bowled over by the smell of entrails in the first bite he could hardly force himself to swallow he then adhered to his own rules that dictate that he must try everything twice. The sour rancid aftertaste certainly shows on his face when words fail him! He finds out that the creature is a bamboo rat. Generally they are not eaten whole but stir fried and eaten in banana leaves. He wanders the market to find it cooked the local way and explains that If you take some kind of wild rodent, skin it, blanch it, strip it of all its fat and strip the meat of it and cook it in chili and lemon grass just about anything can taste good. Jungle markets are becoming a thing of the past as supermarkets hit town but this is a great way of discovering the foods of the past and traditional cooking methods. In the far north east of Thailand money is rare but food is not if you are willing to look in unexpected places. In order to do just that Andrew goes off in search of food with companion Pot from the city and local farmer Thongthian Chaiburom. Their journey starts on a big and successful farm owned by her daughter. Although the family are considered well off and have a herd of cattle Thongthian never lost a taste of the food that she learned to eat while she was growing up. First they find crabs, minoes and snails in a brook which they eat raw! Fresh water shrimp go in alive and moving and are eaten up as quickly as they are found. However this is just a snack. Back at the farmhouse they cook up the main feature, dancing shrimp. Into a pot goes chili, toasted rice powder, lemon grass and fish sauce but it is the lime juice that gives the dish its name. As soon as the juice goes in the citric acid gets the fish moving, talk about flavor and texture, food that moves around inside your mouth takes this to the extreme. The dish is literally alive with flavor, it is nutty, sweet, sour and bitter and very spicy. For dinner they go off in search of cow dung, to hunt the creatures that live inside it, common dung beetle, that is common food stuff in the area. This black beetle, that is about half the size of this thumb eats, nothing but animal dung. 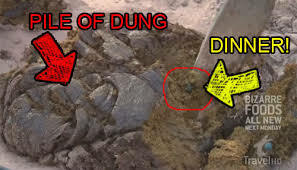 As soon as the steaming dung hits the ground it is filled with burrowing beetles, wh at the beetles do not eat they bury to eat later on and an entire pile of poop can disappear in just a few hours. In the first pile of poop our intrepid hunters find eight beetles. It is important to find fresh deposits that are still full of beetles. As soon as the beetles are removed from the dung they are dropped into a bucket of cool water. This is not to clean the beetles but to waterlog their wings so they can’t fly away. Even though the new generation is moving away from this kind of food source Thongthian wants to ensure that her grandchildren know their heritage and takes them out into the fields to teach them the old methods. With a bucket full of fresh dung beetles they head back to the farm where the beetles are double rinsed before they are tossed into a wok live with fresh green onions and chili. A few other bugs that have been collected around the house are thrown into the mix for good measure. As any experienced bug eater knows it is the legs and the wings that get stuck in your throat, once those come off you are good to go. Andrew describes the dish as crunchy and nutty and not buggy at all! but the look on his face paints a rather different picture. Interestingly it is Pot from the city who has the biggest problem stomaching the meal, not Andrew. However they both struggle with the big mushy grass hopper. The giant horn beetle is the next delicacy that comes along. Here you must remove the horn, for obvious reason. This bug tastes like swamp bug and is filled with a sort of puss that makes it very hard to get down. Next they go off for a BBQ, but not in any kind of sense that your average BBQ lover would imagine. Here a Sunday afternoon BBQ involves killing a calf, cutting it open and eating it raw while it is still warm. Pattanamas Delavaud, a local guide, invited Andrew to visit the farming village where she grew up. 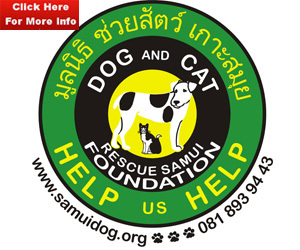 She now lives in Europe but comes back home to Thailand about once a year. Her return, being a special occasion sees the locals club together to buy a fattened calf that will be shared out among them once the butchering starts. The calf is put onto the back of a pick-up truck and taken to the village. The second the calf is off the truck the men go to work. The calf is killed the skin comes off and the legs are detached at the hips. The carcass is then split open from end to end to get to the organs. The eating then begins immediately. The first piece to be eaten is a nice piece of chest fat. Andrew finds himself well out of his comfort zone as the locals take the raw meat and dip it into the fluid that has gathered in the now empty hip socket. His stomach then turns as the locals offer him some of the partly digested contents of the cow’s stomach. This he turns down along with the tap water but the warm, raw liver goes down just fine. The rest of the calf is then chopped up and parceled out for everybody that chipped in. Then it is time to make the very special sauce that is created by mixing chili powder, toasted rice flower and fish sauce, which is fine until somebody pulls out the bile sack of the calf and adds its contents into the mix. The spice does not bother him, the bitterness of the raw bile however will stay with him for a week. He then finds out that there was a good amount of liquid from the undigested food in the calf’s stomach. Next it is time for some rice field rat! Bun, a cooking instructor, who now lives in Bangkok, takes Andrew to her home town to show him the rat sweep. Some rats are shot others are trapped near to the rat holes. The guide to eating rice rat is to remove it from the field, dunk it into boiling water to make it easier to take the fur off, which is literally plucked from the rat like feathers off a chicken. 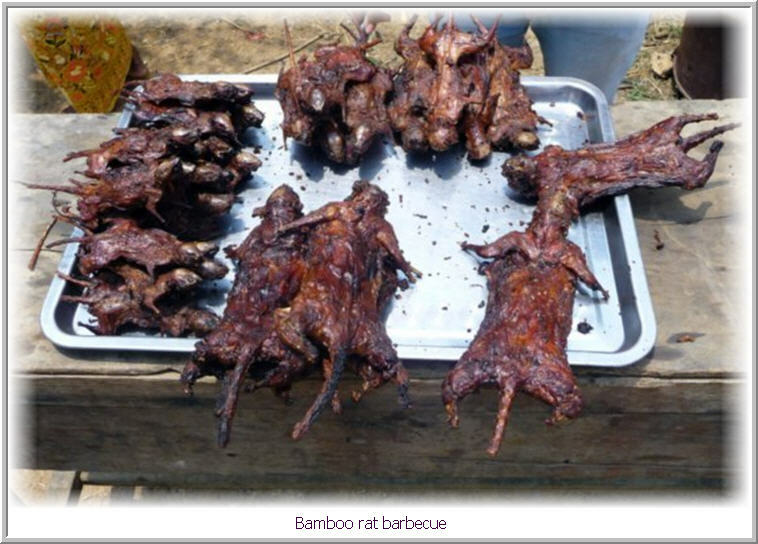 Then the de furred rats are put on the grill whole and others are chopped up whole, with brains, organs, intestines, what is inside them, bones etc and thrown into a wok with fresh herbs and lemon grass, chili and garlic. However as fresh as the herbs are, Andrew cannot get past the smell of the rat that once fried is served up! Incredibly Andrew loves the whole BBQ rat and likens it to young BBQ pork. However the minced rat stir fry with bits of hair and skin, tail, and all of those entrails are less appealing to him. He then heads to the city, home to about one hundred and forty thousand people. He hits the food fare that looks a lot more like a fare Andrew would expect to find in his native USA. He finds meatballs, fish balls, dried squid that is BBQ’s and flattened before he tucks in to what he describes as squid jerky! Not able to find deep fried chicken wings he then tucks into deep fried baby sparrow. To take that taste away he eats green mango with salt and chili. Next his stomach is turned by PJ pizza that he has with seafood and chili powder, but it’s not real seafood, it’s just something made to look like seafood mixed with fake cheese. Andrew cannot even get a small slice of this down. 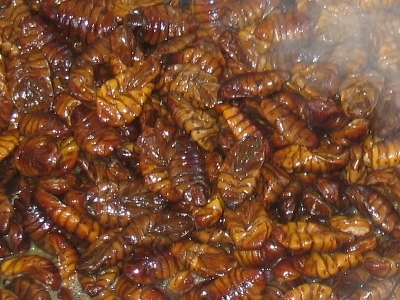 The program ends with a dish of silkworms from a silkworm farm outside the city. This area produces some of the finest silk you can find anywhere the world. Here the silkworms turn food into silk before, after a lifetime of being fed mulberry leaves, are themselves turned into food. The bugs are simply put into boiling water and come out like little balls of candy, sweet and nutty. The final call for the Wolf Balss Wine Dinner!